Most consumers are familiar with Maytag home appliances, but you may not know about quality Maytag HVAC components like the Maytag model M1200 – 22 SEER heat pump. If you have been researching heat pump prices and models, you may have to read that again, because you don’t see many 22 SEER heat pumps. This is the first of the new generation of ultra-high efficiency heat pumps that will dramatically reduce energy costs now and in the years ahead. It’s not just about efficiency with this heat pump. It also offers innovative performance that allows you to precisely control your indoor environment. This Maytag model M1200 – 22 SEER heat pump review will look at the key features of this model before we get more information about pricing from an HVAC prices post we recently received. Here are the top features for the Maytag model M1200 – 22 SEER heat pump. 22 SEER for cooling; 10.0 HSPF for heating. May be eligible for utility company rebates and federal or state tax credits. Innovative modulating rotary compressor delivers maximum climate control with minimal temperature fluctuation. IQ Drive thermostat syncs system components for best performance. When combined with a compatible furnace or air handler, enhanced humidity control, air filtration and ventilation are offered. Low-rpm fan is effective and quiet. Fan motor is permanently lubricated and maintenance-free. Brushed stainless steel cabinet is rugged and resists corrosion longer than galvanized cabinets. Add optional UV air purifier, humidifier or electronic air cleaner for advanced performance. R-410A refrigerant is better for the environment than R-22 refrigerant. 12-year limited parts warranty is one of the best in the industry. Now here’s the HVAC prices post from Samuel in Pompano Beach, FL. 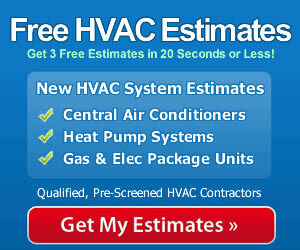 “Many thanks for the great HVAC site! I found it while looking for a gas furnace a year ago for a rental property I own. I recently picked up a house I thought I would turn into a rental, but I like it so well I’ve decided to make it my own home. It needed a lot of work, including a new heat pump. I used this site to compare heat pump prices and models – but then I heard about the Maytag M1200 and had to check it out. I have a high appreciation for technology and innovation. It was installed 6 weeks ago and it rocks! The air conditioner has run every day, and the house is cool and very comfortable. It’s been very humid every day it seems, and the humidity in the house is very low. My daughter has asthma and it has significantly improved with the lower humidity and the better air filtration provided by the Maytag model M1200. I’m a believer. It’s awesome! The Maytag model M1200 heat pump is designed to deliver high quality performance and very high efficiency. However, since any heat pump requires proper installation to give you the best it has to offer, be sure to hire an experience and qualified contractor to install it. They will have the skills to do the job correctly, installing it properly and adjusting your system to work correctly with the heat pump. When the Maytag model M1200 heat pump is properly installed you’ll get the efficiency you expect and much better durability in the years ahead. Can you tell me the company you got your quote from? My local wants $8000, not $3300.